Justice Mohammed Idris of the Federal High Court sitting in Ikoyi, Lagos, on Tuesday, November 28, 2017, admitted in evidence a number of documents tendered by the Economic and Financial Crimes Commission, EFCC, against a former governor of Abia State, Orji Uzor Kalu. The former governor and APC chieftain is being prosecuted alongside his company, Slok Nigeria Limited and his former Commissioner for Finance, Jones James Udeogu, for money laundering to the tune of over N3.2bn. 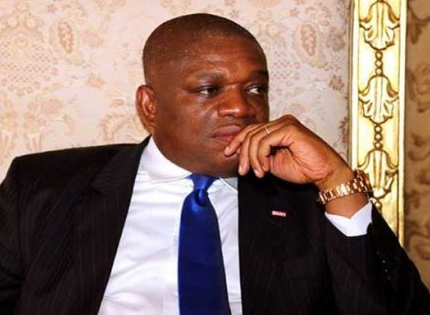 Kalu is accused of using his company to launder funds meant for the state while he ws in office. A prosecution witness, John Ejim, an investigator with the EFCC, told the court that the Commission received a petition against Kalu and two others sometime in September 2005 by a group named Abia Leaders’ Forum at a time the Commission was gathering intelligence reports on ex-governors diverting public funds. Justice Idris admitted in evidence the letter of petitions as exhibit G. Ejim also told the court that the responses from the banks were analyzed and a search was conducted with a search warrant at the Apapa and Victoria Island, Lagos offices of Slok Nigeria Limited. Orji's statement was admitted in evidence as exhibits J4-J8; Udeogu’s statement was admitted in evidence as exhibits J1-J3; the statements of Udo was admitted as exhibits J9-J10 and Madu’s statement as exhibits J12-J15.